Tue., April 3, 2018, 5:16 p.m.
SPRINGFIELD, Ill. – A makeover of the Illinois Veterans Home at Quincy costing as much as $278 million is the best option for eradicating Legionnaires’ disease there, a preliminary report says. It calls for a state-of-the-art residence, new plumbing and a newly drilled well for a separate water source. The report by task forces that Republican Gov. 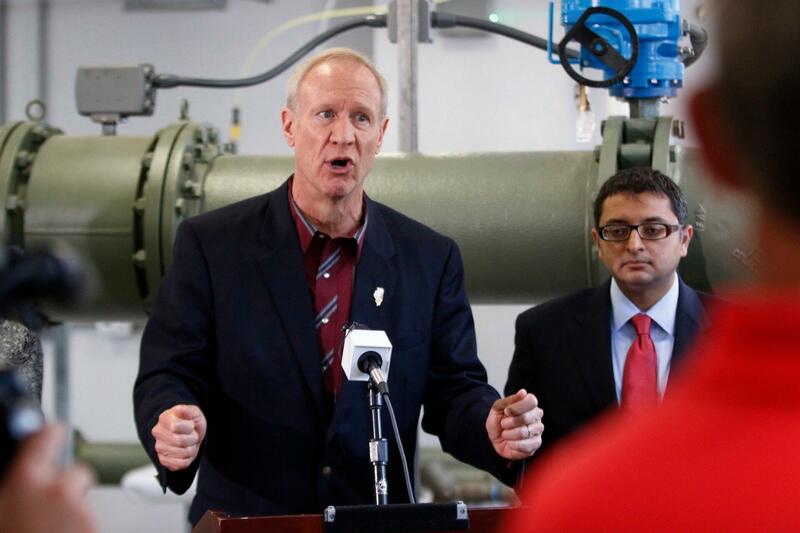 Bruce Rauner’s administration organized says a new facility would not only include Legionnaires’-resistant piping, but would be built to accommodate the changing needs of veterans for decades to come. The report was dated for Saturday. A final report is due May 1. Legionnaires’, which is caused by waterborne bacteria inhaled from vapor, has contributed to the deaths of 13 residents since 2015 and made dozens more ill at the 130-year-old campus, located 311 miles west of Chicago. The administration has installed a $6.4 million water treatment plant and adopted a rigorous schedule of disinfection, flushing and filtering, but the pneumonia-like illness has returned each year. Four more cases were confirmed in February. The residential facility could cost as much as $250 million. New campuswide plumbing would cost up to $15.6 million, drilling a well would run as much as $5.5 million, and buying and renovating a vacant nursing home nearby for temporary housing during construction or future use would be about $6.8 million. Experts have noted that critical portions of the home’s outdated plumbing are a breeding ground for Legionella bacteria. A well would eliminate reliance on the city supply from the Mississippi River; the river’s warmer temperature is more bacteria-friendly. The report notes there is a total of $119 million in deferred maintenance at Quincy and the state’s other homes for veterans in Anna, LaSalle and Manteno, as well as additional expenses in the ongoing construction of a new home in Chicago that is scheduled to open in 2019. Ford said the sizable price tag is “crying out for a big capital bill” and could spur Rauner and the General Assembly to agree on a statewide construction program. The last one was in 2009. Published: April 3, 2018, 5:16 p.m.